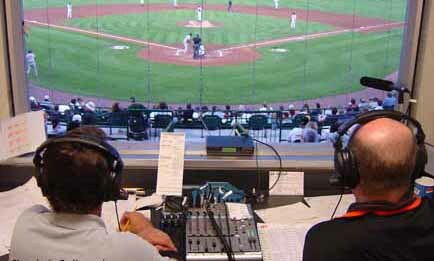 The Ducks offer broadcasts of all regular season games on the Long Island Ducks Broadcast Network. Each game will feature live streaming HD video and audio via BoxCast. Fans can tune into each game on the Ducks' official Facebook page via Facebook Live, on the Ducks' official YouTube channel, and on the team's official website, LIDucks.com in the Video Center. Each game is preceded by the Long Island Ducks Pre-Game Show, beginning 15 minutes prior to first pitch. In addition, all Monday, Wednesday and Friday home games are broadcast live on WRHU/88.7-FM Radio Hofstra University and online at www.wrhu.org for fans in Nassau County. The broadcast team includes Ducks Director of Media Relations and Broadcasting Michael Polak, who has spent nine seasons behind the mic with the Flock, as well as popular Long Island radio personalities Chris King and David Weiss, who have been involved with the team since the inaugural 2000 season.